Southern Kurdish (کوردی خوارگ; kurdîy xwarig, also called (Pałewanî; پاڵەوانی) is a Kurdish dialect predominantly spoken in western Iran and eastern Iraq. In Iran, it is spoken in the provinces of Kermanshah (Kirmaşan) and Ilam. 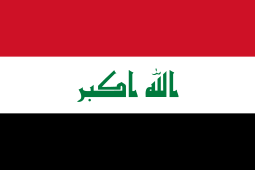 In Iraq it is spoken in the region of Khanaqin (Xaneqîn), all the way to Mandali, Pehle. It has more than one million speakers in the city of Baghdad. It is also the dialect of the populous Kurdish Kakayî-Kakavand tribe near Kirkuk and most Yarsani kurds in Kermanshah province. There are also populous diasporas of Palewani-speakers found in the Alburz mountains. Native speakers use various different alphabets to write Pałewani, the most common ones are extensions of the standard Kurdish alphabets. The extension consists of an extra vowel, "ۊ" for the Arabic-based Sorani script and "ü" for the Latin-based Kurmanji script. Kermanshahi (Kirmaşanî) is spoken mostly in western Iran, in and around the city of Kermanshah (Kirmaşan). Feyli, referring to the Feyli tribe; also known as Ilami, after Ilam Province. It is spoken in eastern Iraq in the Khanaqin region of Diyala province near the Iranian border, and in western Iran in Ilam province and parts of Kermanshah province, by the Feyli Kurds. Mahaki is a sub-dialect. It is spoken by the tribe of Ali Sherwan (Beyrey) in Ilam, and by almost all Feyli Kurds in Baghdad, Mandali, Badrah, and Zorbatiah in Iraq. It shares many features with Sorani. Laki is spoken in the central Zagros region of Iran, in the provinces of Lorestan (Nurabad, Kuhdasht), Kermanshah (Kangavar, Harsin), Sahneh Darreh Shahr and Holeylan in Ilam Province, and in much smaller numbers in the provinces of Qazvin, Hamedan, and Khuzestan. ↑ Hammarström, Harald; Forkel, Robert; Haspelmath, Martin; Bank, Sebastian, eds. (2016). "Southern Kurdish". Glottolog 2.7. Jena: Max Planck Institute for the Science of Human History.